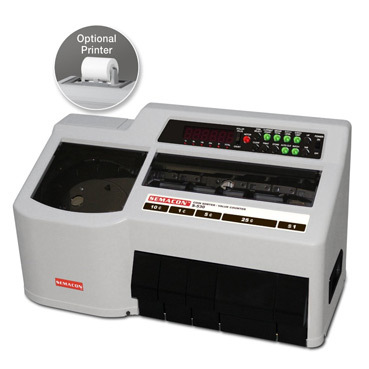 Electric Coin Sorter and Value Counter with Bagging and Packaging/Wrapping functions. Sorts mixed US penny, nickel, dime, quarter and dollar coins. Displays count and dollar value for each denomination and total value.